The Korean brand Elizavecca has gained quite some popularity among asian beauty lovers. The Carbonated Bubble Clay Mask of this brand really made a round in the asian beauty blogger community, and to my shame I must admit that I didn’t try it yet. 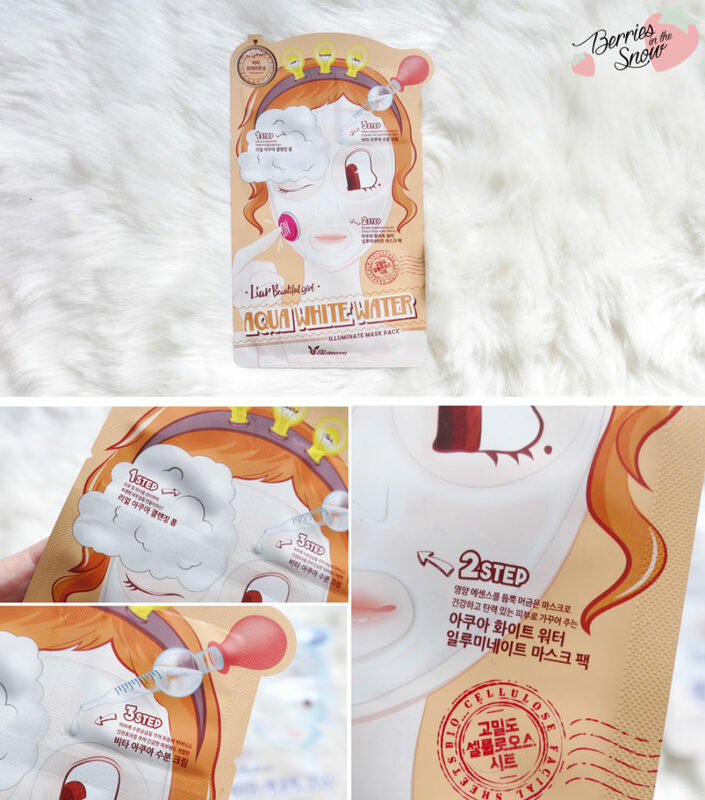 Actually, this is my first product from Elizavecca…:D And it is not only the first time I’m trying the brand Elizavecca, but also the first time trying a sheet mask with 3 included steps! I did reviews of a 2 Step Sheet Mask by Forencos, which included ampoule and the sheet mask before, and I do like the idea of having many skincare steps combined to one sachet. 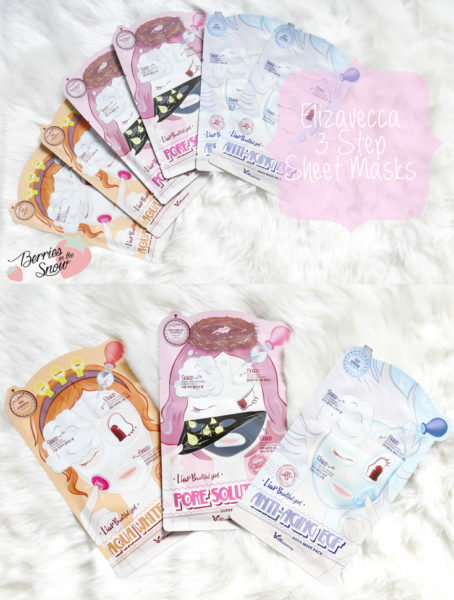 The Elizavecca 3 Step Sheet Masks contain a cleanser, a sheet mask, and a third skincare product which fits to the specificities of the sheet mask. Each 3 Step sheet Mask comes in a sachet with some cute illustrations of girls wearing sheet masks. The caption says “Liar Beautiful Girl”, which doesn’t make much sense, but anyways…Each of the three steps is in a separate chamber of the sachet, labelled with the numbers 1 to 3. The descriptions on the backside of the sachet are in Korean only. Aqua White Water Illuminate Mask Sheet is targeting skin elasticity for for baby-smooth skin. It contains nutritious serum and EGF as key ingredient. As a first step you use the Bubble Water Cleansing Foam, in the second step the Anti-Aging Elastic Serum is provided. 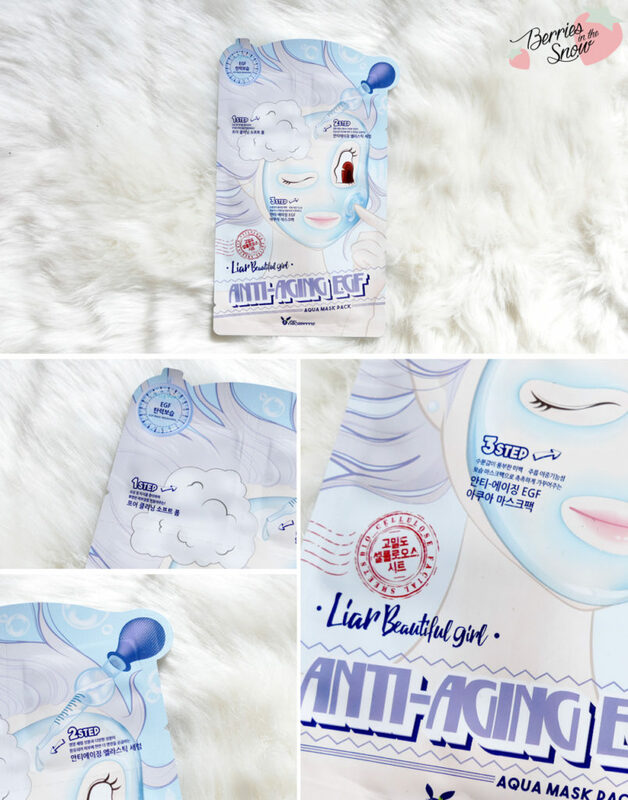 The third step is the Anti-Aging EGF Aqua Mask Pack. The cleansing foam is a regular foam cleanser with a neutral pH of 7. It foams up nicely, but also leaves the skin a bit tight. It is NOT the most drying cleanser I tried though. The serum is a clear gel-like fluid which feels moisturizing and nourishing. The mask is made of a think, see-through cotton, which is soaked densely with the essence. This mask feels moist and refreshed and has also nice cooling effect. 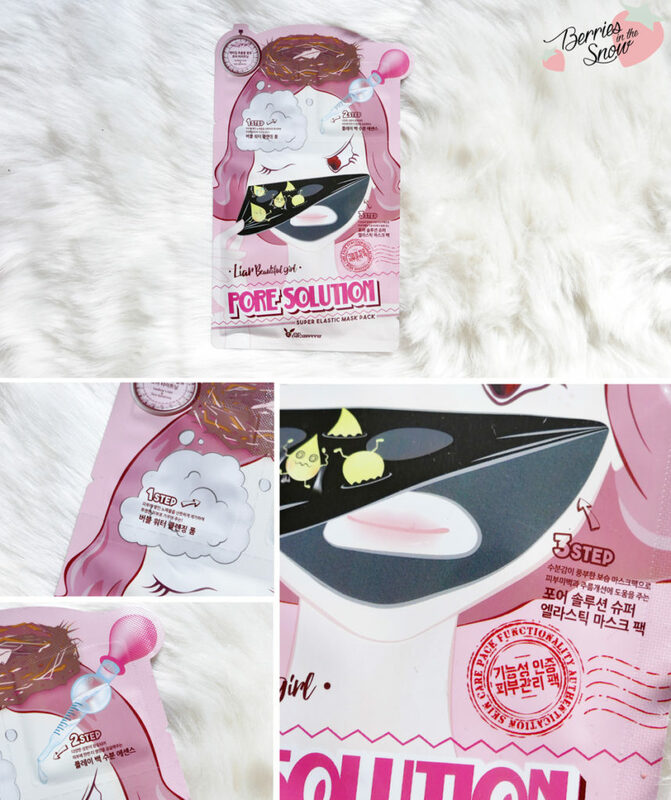 The Pore Solution Super Elastic Mask Sheet is for clearing up the face. It contains nutritious essence and bird’s nest extracts are for pore care and elasticity. First step is the pore cleansing foam. Second step is the Play Back Moisture Essence, and the last step is the Pore Solution Super Elastic Mask Pack. Also here the cleansing foam appears a regular foam cleanser with a neutral pH of 7. The essence feels hydrating and moist and is a bit more fluid than the serum from the previous mask. The sheet mask itself is a black sheet mask though. The Aqua White Water Illuminate Mask Sheet is directed towards brightening and moisturizing the skin containing vitamins and glutathione as key ingredients. Here the first step is again cleansing the face, this time you’ll be using the Real Aqua Cleansing Foam. 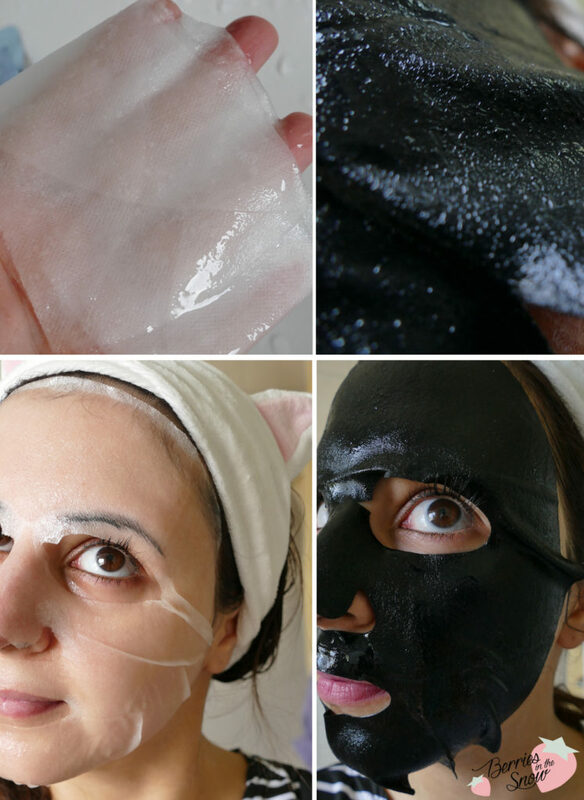 The second step is the sheet mask here. It is called the Aqua White Water Illuminate Mask Pack. As a last step you’ll use the Vita Aqua Moisture cream, a balm-type cream, in order to seal the moisture within your skin and give it a boost in hydration. The cream leaves a Sticky feeling and is better suited for the evening. Below you can see the comparison between the textures of the sheet masks. The regular sheet mask on the left versus the black pore care sheet mask on the right. 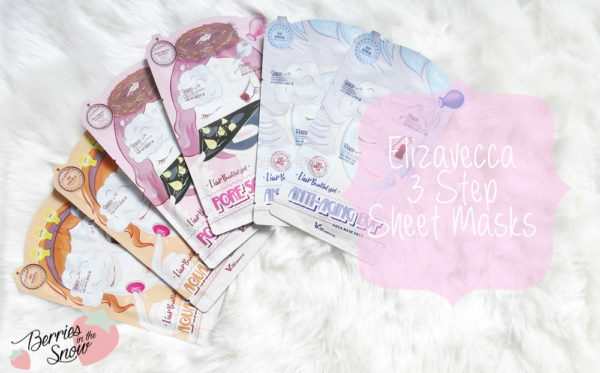 I really like the Elizavecca 3 Step Sheet Masks. First of all, they are perfect for travelling, because you can take a small skincare routine in one sachet with you. Secondly, I like how well soaked the sheet masks were. Then, of course, they have a pretty and cute illustration on their sheet mask, too. :D Out of the three I liked the Aqua White Water Illuminate Mask Sheet most, because I loved the balm-type cream for sealing the moisture onto the skin. It is perfect for the nighttime routine. The other two were also suited for use during daytime. 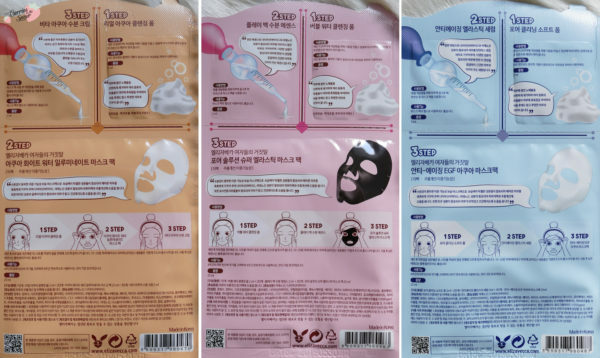 I received these sheet masks from BBCOSMETIC and they retail for 19.80 US$ for 10 pieces of one of the types and 12.99 US$ for 6 sheet masks (2 from each type). You can also use the voucher Q2C8JX9N45R3O in order to get 10 % discount on bbcosmetic. 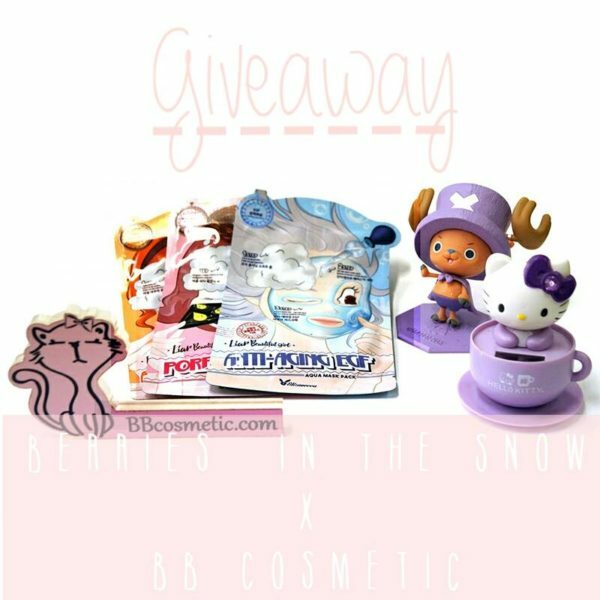 If you still have time feel free to join my giveaway on Instagram and you can test and try the sheet masks yourself! 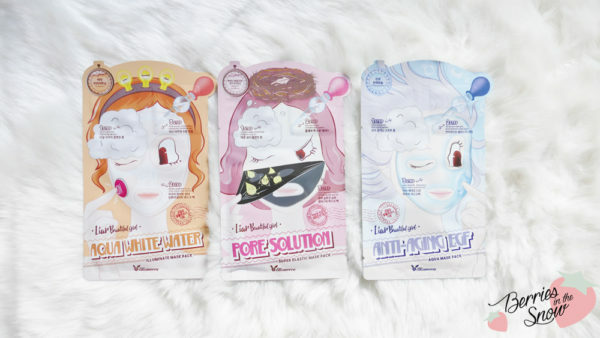 What do you think of these multi-step sheet masks? Seems they are getting more and more common in the Korean beauty market. Wow a 9.2! I’ll have to check these out. Also, the graphic on the Pore one is amazing.. I would much rather try ! !